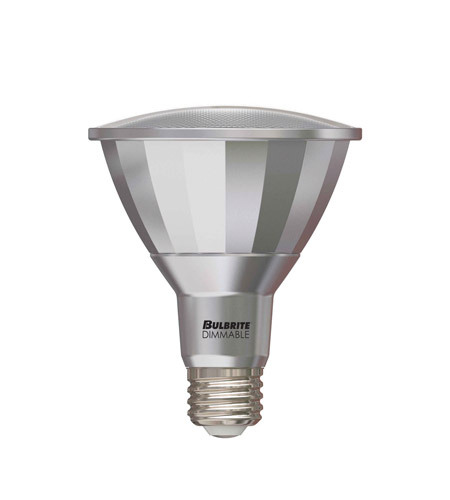 Bulbrite's Dimmable LED PLUS PAR series of outdoor rated PAR20, PAR30 and PAR38 bulbs provides quality lighting for a variety of indoor and outdoor applications. Fully dimmable, these bulbs can be used in recessed lighting in the home and also outdoors for security lighting and porch lighting. It is also UL Listed and Energy Star Listed. Bulbrite is a family owned business renowned for its commitment to innovation, education and outstanding service. Most recently Bulbrite President Cathy Choi received the 2010 Residential Lighting Industry Leadership Award and the Bulbrite Swytch LED Desk Lamp received the 2010 Home Furnishing News Award of Excellence. The company has introduced many innovative and design award-winning products, including its exclusive KX-2000®, Dark Sky, Purify 02, and Halogen R111 GU10, as well as ADEX award-winning GU24 Twist & Lock lamps, the 2012 EISA-compliant Halogen A19 and TURBO LEDs. Bulbrite offers an extensive line of light bulbs and lamping options including LEDs, HID, Compact Fluorescents, Fluorescents, Halogens, Krypton/Xenon, Incandescents and a broad range of specialty lamps.